Agree or not, it is not necessary to keep a keen eye on your kids all the time in order to protect them from dangers associated with internet like cyber bullying that is on the rise nowadays. Some countries and governments are taking necessary steps to make laws against these kinds of crimes but it is still parents’ duty to know the activities of their kids without invading their privacy and here come the monitoring apps and services. Following is a comparison between mSpy and Mobistealth which are two popular monitoring apps. Expectedly, mSpy and Mobistealth, both share similar installation and initialization process in which the administrator needs access to the target device for few minutes in order to install the app on the device. Both of these apps and services have web portals so administrators can monitor all the activities performed on the target devices remotely from there. You can control targeted devices from the same web portal as well as change the configuration, enable and disable different features. Mobistealth is compatible with all major mobile operating systems including Android, iOS, BlackBerry and Symbian as well as for desktop PCs and laptops, although it does not support non-jailbroken iOS devices which is a huge disadvantage. 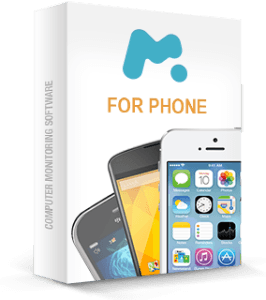 mSpy is available for mobile operating systems including iOS and Android while it also supports jailbroken and non-jailbroken devices. It is also available for desktop PCs and laptops running Windows or Mac OS. Both of these apps and services have basic monitoring features like call monitoring, message monitoring, email monitoring and IM monitoring. Although mSpy has a huge advantage here as it has amazing features of monitoring social networks including Facebook, WhatsApp, Viber and Snapchat that is a popular social network among kids. With these features parents can monitor their kids’ conversations with their friends and even with strangers to protect them. mSpy and Mobistealth allow parents and employers to use location tracking features in order to track their kids or employers via GPS of the target device. This location tracking feature is so powerful it can pinpoint the exact location of the target device and can tell coordinates. The same location tracking feature can also record the routine and whereabouts of the target device so parents can see where their kids’ go and how much time they spend there. 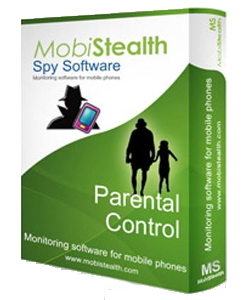 Mobistealth and mSpy allow users to see the photos, videos and all the media files stored on the target device remotely. Though Mobistealth does not have this feature but mSpy lets administrators lock or wipe the target device remotely. Both of these apps and services allow users to monitor network activities as well as calendars and events stored on the target devices. Amazingly both of these services and apps have so many plans and packages that make it easier for users to select the best one according to their needs. On the other hand, as mentioned above mSpy has way more features than Mobistealth that makes it a better choice for people who wants advanced features at a reasonable price. Mobistealth for Android is available for $20 per 2 weeks with basic plan while the pro plan is available for $80 for 3 months. mSpy is available for $60 for 3 months with basic plan while the premium plan starts from $70 per month. If you just want basic features to monitor your kids and employees then Mobistealth is a better option while for advanced users who want all the possible and available features in monitoring apps and services, mSpy is a suitable option.